Children with special health care needs are at higher risk than the general population for oral health problems. Routine self-care may be difficult or impossible for a child, e.g. due to motor disability such as seen in spastic quadriplegia or due to cognitive or behavioral impairment. The underlying disease may impact oral health, such as with cleft lip and palate or leukemia. The treatment of a chronic disorder may lead to secondary oral health problems, such as gingival hyperplasia with anticonvulsants, methotrexate, immunosuppressants and calcium channel blockers. In surveys of the special needs population, parents and families identify dental care as the most common unmet health care need for their children. How Can the Primary Health Care Provider Help Optimize Oral Health? 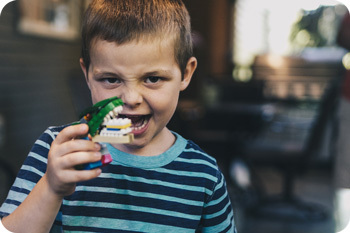 Fact sheets for 14 mild to moderate manifestations of special needs conditions have been developed for Dental and Medical Professionals, as well as for families. Content for the fact sheets were developed by a group of experts affiliated with the University of Washington School of Dentistry and the Washington State Department of Health – Oral Health Program. Fact sheets for 14 mild to moderate manifestations of special needs conditions. National center serving the maternal and child health community with high-quality oral health technical assistance, training, and resources – Family materials (English and Spanish), tips on integrating oral health into primary care, policy briefs and more.